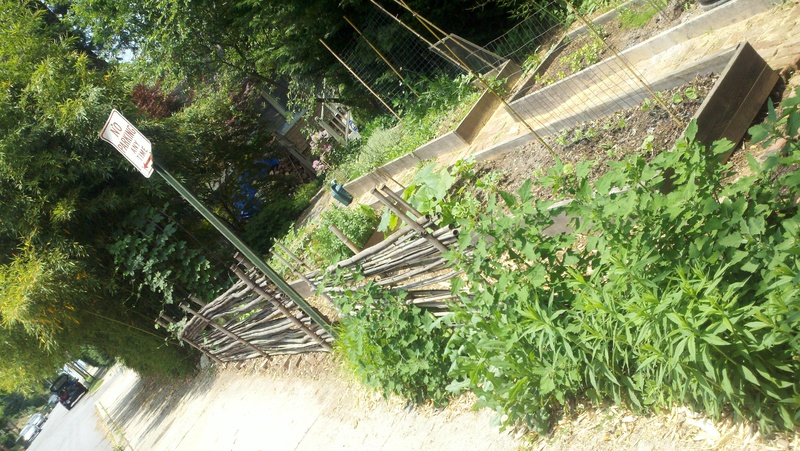 Right up the street from Alsace and Candice’s garden you’ll find another cool front-yard, raised-bed garden. 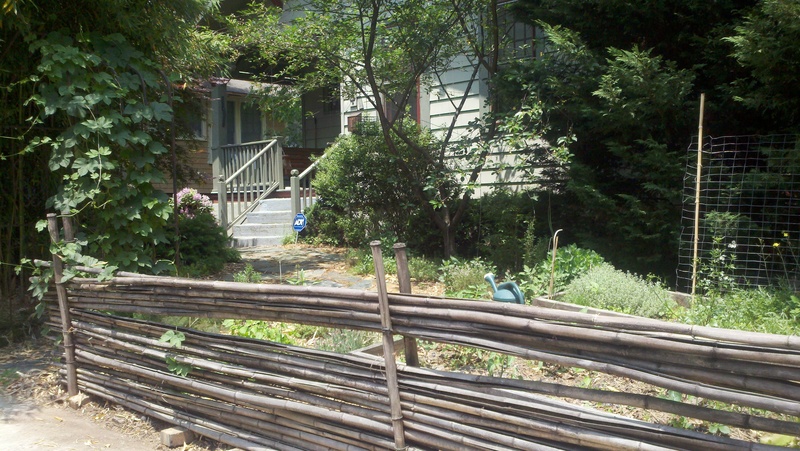 When you’ve got your garden right up in the front yard, right next to the sidewalk, it is nice to have a little bit of a fence (e.g., keeps dogs – and clueless people – from wandering over into your plants). I was walking home from picking up the boys from preschool last week and saw the person I thought belonged to this garden, and he (Andy) — like Candice and Alsace — was kind enough to take a few minutes and answer my questions and let me snap a few photos. 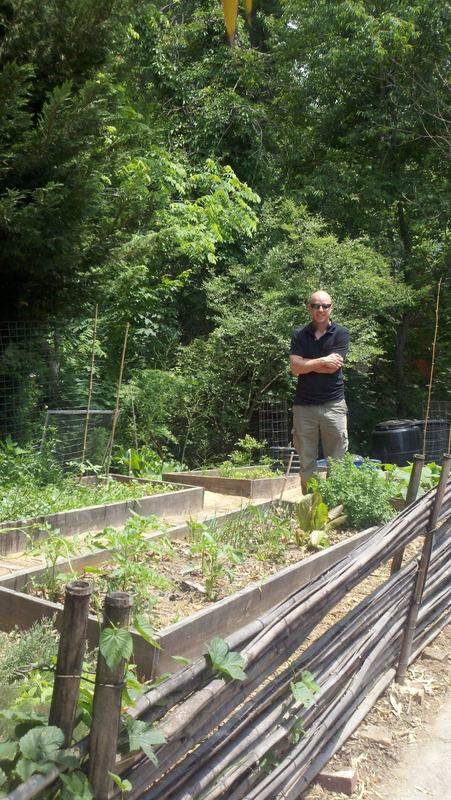 Here’s Andy in his garden. He has managed to turn a rather small space into lots of growing room. He’s put his composter in the corner of the space, you can see it behind him. Over the winter, he put down pavers in the paths between the raised beds. That’s an improvement I’ve put on my wish list for next year’s garden. It keeps the weeds and mud at bay, and it looks pretty cool too. 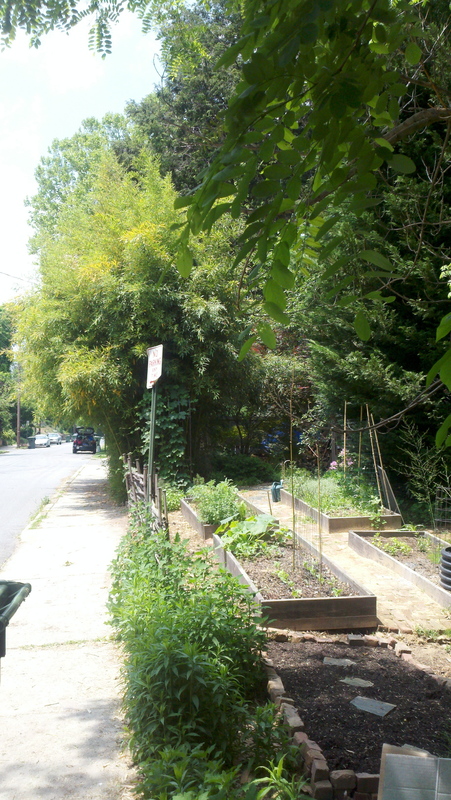 Here’s a couple more perspectives showing how Andy has turned a very small space, right on the sidewalk into a great garden (I love the city “No Parking Any Time” sign)…..